Alexander Pope', 1774. 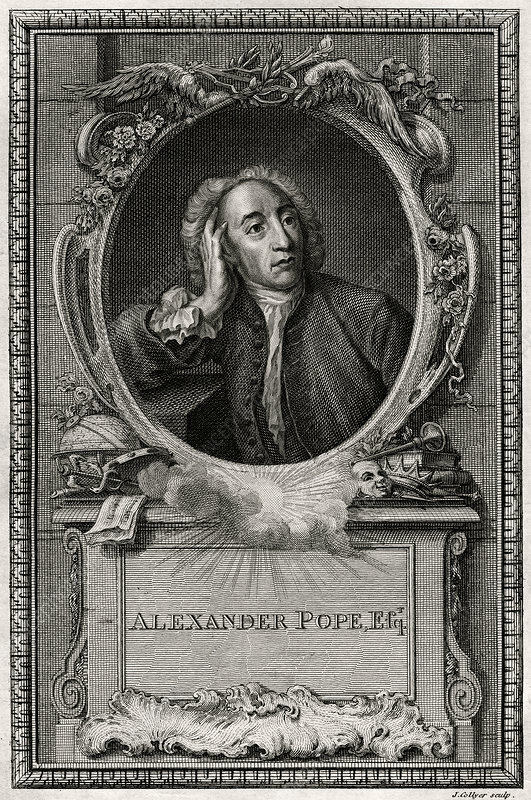 Pope (1688-1744) is considered one of the greatest English poets of the eighteenth century. A plate from The Copper-Plate Magazine or A Monthly Treasure, London, 1774. Artist: J Collyer.